Today's card is a remake of one I did a few years back. 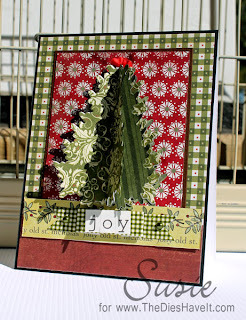 I never really liked the way it turned out, but I did save it because that darn tree wasn't going to defeat me! 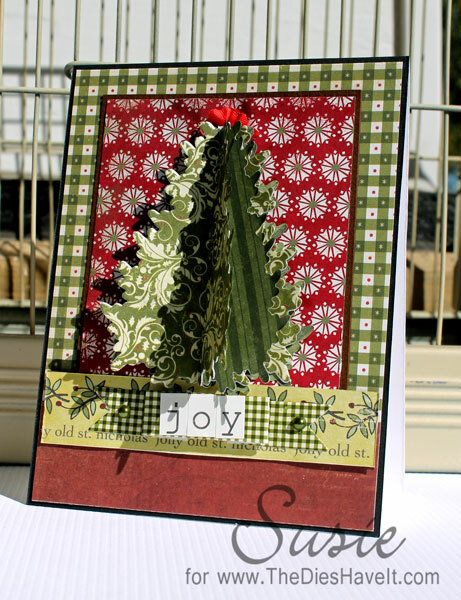 The tree is cut from a PaperTrey Ink die and then glued back to back to form a 3-D element. It is super easy to do. Then I just mounted it on some patterned paper. This year I remounted the tree and the patterned paper on some new background papers from Simple Stories and now I am pleased with it. Funny how our creative minds work! So that's it for today. I'll be right back here tomorrow and I hope you will join me then.